Feed banknotes and let JIAN do the rest! 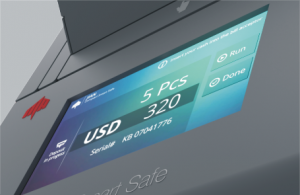 From banknote authentications, speeding up and accurate end of day process, to reducing frauds and internal theft, it’s all integrated in one to ease your daily cash processing at your retail location. Easy maintenance – Easy jam removing, you can clear note path with easy access. Compact Design – Compact in size and avant-garde in appearance. 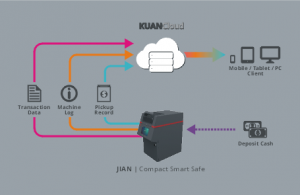 Other than stand-alone mode, JIAN offers an option of connection to Cloud, a solution which completely records daily cash information and activities report in real time. Monitor all these with multiple platforms of client such as PC, tablet or even with mobile phone. 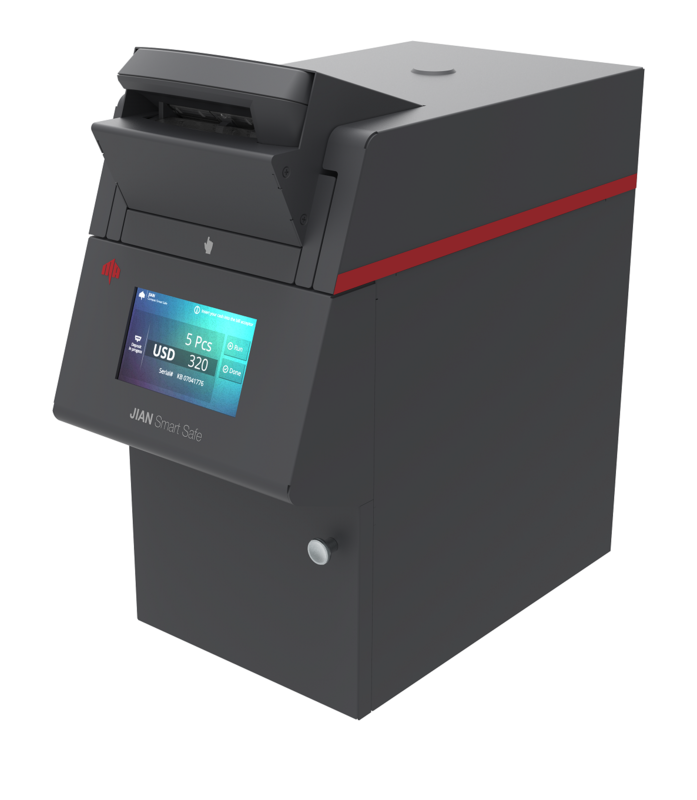 JIAN optimizes cash processing and reduce risks of cash shrinkage and human error.